If you live in one of the beautiful communities and need lawn spraying in Trinity, Land O Lakes or Wesley Chapel in Pasco County, you likely dream of having a lush, healthy l awn. 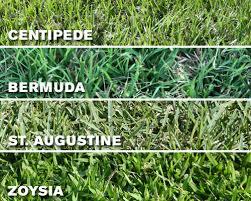 In Florida, it’s likely your lawn is St. Augustine, Bahia, Bermuda, Centipede or Zoysia. All of these types of grass require different nutrients, moisture and other requirements. Watering properly isn’t enough to keep your lawn in great shape. Additives, weed and pest control are a crucial part of maintaining a beautiful lawn and garden, especially in Florida, where soil has a tendency to be lacking the nutrients required to establish and maintain a beautiful lawn and garden. Bay Area Lawn and Pest Control has decades of experience in lawn and shrub care with extensive knowledge in Florida turf, lawn fertilization , irrigation as well as outdoor pest control. Lawn fertilization in Florida is crucial to keeping your lawn healthy and thriving. Promoting root growth as well as “leaf” growth requires the additives and care that are needed to lawns in high traffic areas, and lawns with poor soil and drainage. Controling weeds is essential and pest control can can save a lawn that is being damaged by pests like chinch bugs, white fly or other lawn damaging pests. Lawn fertilization, lawn spraying and pest control services in communities in Pasco County, Florida. For lawn spraying and lawn fertilization services in Wesley Chapel, Trinity, Land O Lakes, Lutz and surrounding areas please contact us online or by calling us directly. We’ve been providing home owners, HOA’s, Apartment Communities and Condominium owners with lawn fertilization services, lawn pest control services and lawn spraying for over a decade. It helps for our customers to know that Bay Area Lawn and Pest Control are top notch irrigation specialists! Why does this matter? Well, it’s just another convenient service we offer our customers. We inspect your irrigation with our lawn spraying service, and if we find problem areas, we can repair most irrigation problems for you. Remember, if your turf is less than beautiful, then it could be not only the lack of proper nutrients and pest prevention— but your lawn could be getting too much or too little moisture due to irrigation problems. Bay Area Lawn and Pest Control, Land O Lakes, FL. 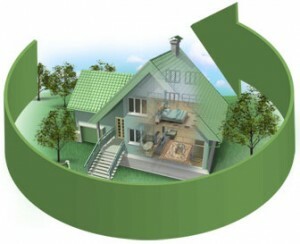 Affordable lawn fertilization and pest control services so you can enjoy your home and gardens! Call (813)920-6008 or click here use our online form to request service.